How to Allure Everyone with a Perfect Web App Design? â€˜You never get a second chance to make a first impressionâ€™ â€“ a known actuality that we all have been experiencing since years and holds true even today and a web application is no exception. Assume seeing a web app with most unattractive and inefficient features â€“ you would obviously carry a very negative first impression, even though it may have a useful background and intent. Hence, what really plays a very significant role, in culling out a perfect web app design and attracting clients is the web app design approach that is followed in order to come up with a user friendly, alluring and robust app. There are many factors that are responsible to achieve such a design standard that succeeds in retaining old and developing new customers. Before we move on the fundamental principles of a perfect web app design, we need to understand what the â€˜wrongâ€™ factor is. Basically, it is the lack of understanding the business requirements and the lack of involvement of the designersâ€™ right from the start. This leads to an unbalanced load on the developersâ€™ shoulders, whereas actually, it is not their cup of tea. And the end result is frustrated clients, dissatisfactory implementations and minimized ROI. It is very vital to understand the fact that whatever web app design trends you are following, should keep in mind the needs and requirements of your users primarily and not what the developers want or what trend is in now. After all, they are the ones who are going to use the app to its fullest. Even, in the clutter of clients, you must actually target the end users and not the core team, who is involved in the decision making. This gives a transparent picture of what is actually the process flow needed by them. Sometimes, under the purview of attracting clients and making them happy, web app design guidelines focus on following a variety of standards and patterns all over the app. That is not the apt roadmap since end users look for a consistent and common behaviour app all over. Be it on the front face or the backend, they would wish to observe a similar pattern and thereby, go closer to the functioning of the app. An ideal way to maintain standardization is to have a thorough and proper documentation of the guidelines so that it serves a dual purpose â€“ to follow a similarity pattern as well as users can have instant access to it. It is important to inform your end users time and again, about the status of the system and ways and means to come out of any unintended trouble. Even if any activity is going on, the users should be informed about it. Risk mitigation also plays an important role by avoiding the occurrence of errors. The latest web app design best practices talk about availability of online documentation fed into databases and access to a variety of videos and audios to guide further. Since there are numerous elements involved in web app designs, it is always a best practice to group similar objects together. It may look weird by when actually done, you realize how easy it would be to access that information, whenever needed, else those parameters would be all scattered around. For any user to be happy and content with the web app, it is essential that there is a defined roadmap for the app. There has to be fitted elements in the app, as the web app design pointers showcase, that will guide the user every minute about its location and further steps to perform. Whenever we test or implement, we are used to seeing a testing setup full of data of different varieties. But, that is not exactly the case in a live scenario. Initially, the users are going to face a web app with bare minimum data and then with further implementation, there will be a list of files of data that will build up. Hence, according to web application design basics, there should be a reality check of any app, prior to implementation. Psychologically, it is very satisfactory for end users to either see a web page getting loaded quickly or get a â€˜Loading…â€™ message with a progress bar and stay connected with what is going on. Though it may sound so simple and fundamental, it plays a very important role in creating a good first impression on the client. To have a primary look at how the actual look will be is very important.Â These prototypes, as per web app design ideas, create a basic look and feel of the app to-be and hence give a sense of security and satisfaction about how the actual web app will look like. Your client may want quite a few things but when analysed technically, its feasibility may be disappointing. So going by the gut feeling and by analyzing its importance, you need to take a final call of how many clients based features are to be incorporated, phase wise and have a mutual consent with the client, prior to designing and developing the web app. This would be a balanced and practical approach to a successful app. Going by todayâ€™s trending methodology â€“ the Agile approach, it is the best decision to follow it. The iterative approach, being adopted in the agile method, will surely help in testing each and every iteration, as it completes, thereby, leading further, to a properly testing and tried product and hence when it comes to final implementation, itâ€™s a safe deal. When it comes to a standardized and robust app, these Web App Design Best Practices surely help out in culling out a visually alluring and efficiently operating web app and form the basic fundamental building block of web app designing. 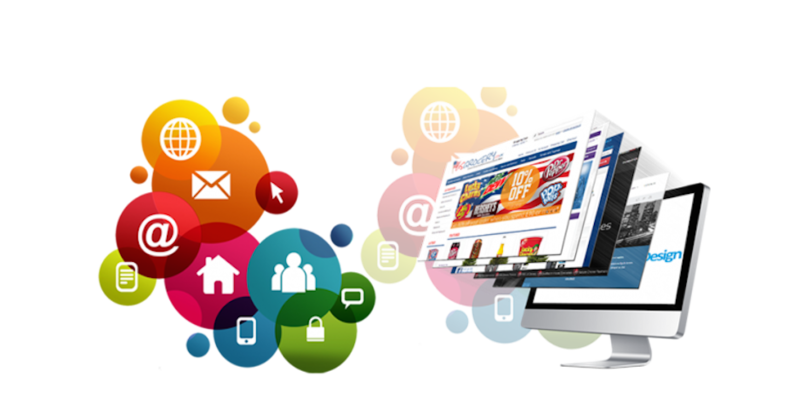 As a quality driven web app development company, always pushed by a creative urge, we put in scrupulous efforts to integrate state-of-the-art design techniques with our web application development services to offer you the best of User Experience. Associate with us. Visit Valueedge Solutions to request a POC and experience our offerings. This entry was posted in Web Apps and tagged Web app Design, web app design inspiration, web app design trends. Bookmark the permalink. I am truly grateful to the holder of this site who has shared this fantastic article at at this time. Great article. It will be supportive to anyone who utilizes it, including me. Keep doing what you are doing, canâ€™t wait to read more posts.